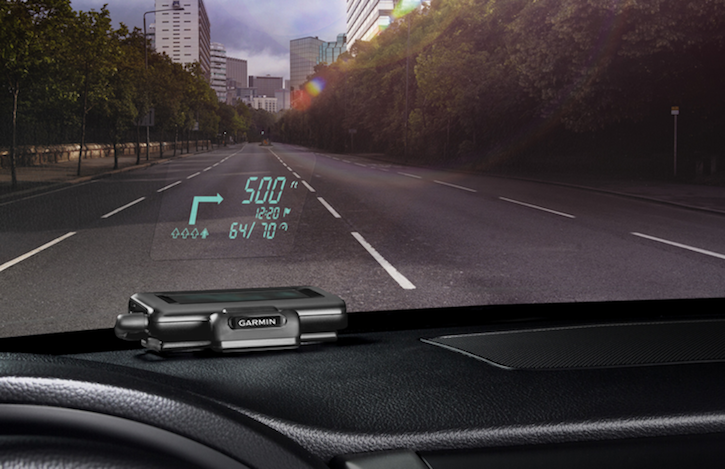 Back in July we reported Garmin's announcement of a new product called Head-Up Display or HUD. This device is a portable display for smartphone navigation apps. It is a projector which displays directions on a little area of the windshield. You can choose to have it display directions right in your field of vision while driving. The device was supposed to be priced at $129.99 when announced back in July. However, Garmin has increased the price to $149.99. It is available for purchase from most big box retailers and online sites. Here is the link to buy the Garmin HUD from Amazon. Remember, you need to have a smartphone app like NAVIGON or Garmin StreetPilot to work with HUD. Apps are priced upwards of $30.